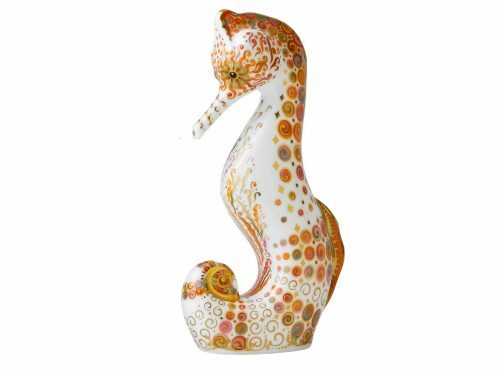 Part of the Royal Crown Derby Paperweight Collection, this stunning Swirl Seahorse is made from the finest bone china & hand finished in 22 carat gold. The perfect addition to a sea creature or paperweight collection, this piece will also be an ideal keepsake to celebrate a very special occasion. We have a stunning variety of different Paperweights . The perfect place to find the perfect gift. Using colour pallets that interchange and mix with each other so that they complement and mirror each other perfectly. Swirls, bubbles, spots and lashings of 22 carat gold in abundance to create the swirling motion of the ocean. The design really does conjure up the vision of the little Seahorse with its tail wrapped tightly around a piece of seaweed, being bounced around by the water. 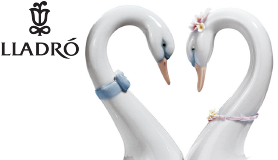 Established in 1750, Royal Crown Derby is one of the oldest porcelain manufacturers in the UK. It’s known particularly for its high-quality bone china tableware and collectables.